Yes, the 2017 race season has started and if you’re not ready, now would be a good time to start panicking! 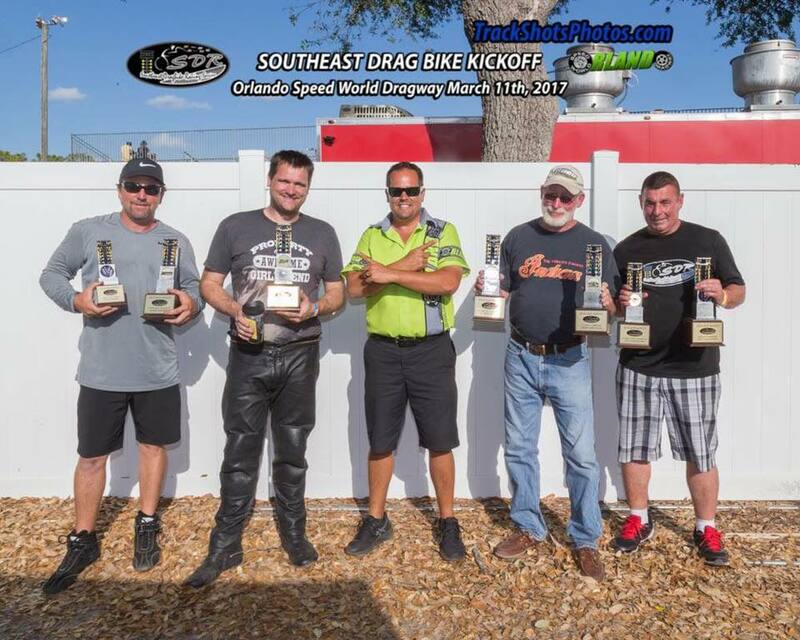 While a few bike races have already taken place, the official kickoff to the 2017 Dragbike.com BAMF competition took place a few weeks ago with the season-opening Southeast Dragbike Racing Series. The SDRS race is the first approved sanction to conduct a race this season that is eligible for BAMF points. So, what exactly does that mean to everyone? Well, first off, we can tell you that Dustin Lee (two-time reigning BAMF) is NOT leading the points! Lee has literally had a stranglehold on the competition over the last two years, but he has yet to start his race season. With “claims” of not going after BAMF for the third season in a row, we wouldn’t want anyone to jump to conclusions that there will be a new sheriff in town this year… After all, a few early season race wins could change anyone’s mind! 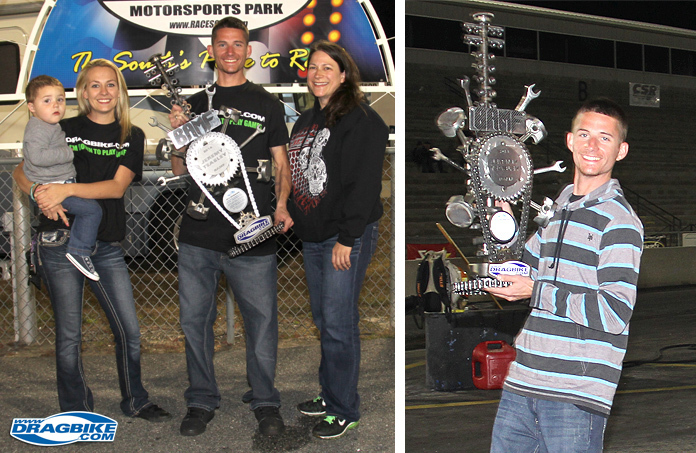 This weekend the Man Cup will mark the second sanction race to earn points for this year’s points chase. 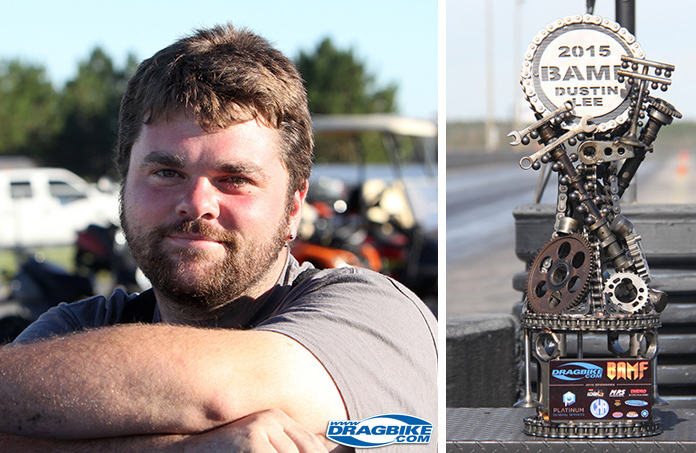 Now in its 4th year, the Dragbike.com BAMF program was created with one thing in mind, determining who the BEST sportsman motorcycle racer in the country is. This is accomplished through a points system that takes multiple sanctions, races, championships, etc. into consideration. Each year the competition is reviewed and changes made to make it better and we’re excited to have new sanctions join in (Bikes in the Valley is now eligible for BAMF). Aside from the ultimate bragging rights (of being the best), the BAMF winner takes home a custom Cold Hard Art trophy each season and a very nice purse of prize money (YES, winner take all) which is accumulated through the very generous sponsors of the program. We would like to thank the sponsors who have already stepped up for 2017 to bring the payout to $3,150.00. Thier sponsorship dollars go directly to the winner at the end of the year. Current 2017 Sponsors consist of Kopac Fleet Repair of New Jersey, MPS Racing, NHDRO, Schnitz Racing, MTC Engineering and Web Cam. We would also like to thank everyone who has not only made this program possible, but who have supported it from the beginning: Racers, Sanctions, and Sponsors. Without you all, this “idea” would not be entering its fourth season. So, the big question is, who do you think will come out on top this year?